If you are looking for an introduction to the drone hobby, or just want to try out how such a drone flies, then start with a mini drone in the range of $20. Here you quickly notice whether flying is fun. And it is simply a great toy that everyone should have tried anyway once. 🙂 This category also includes the JJRC H56. The small drone is called TaiChi, which refers to a special feature of the control system. It should be possible to do this with your hands. 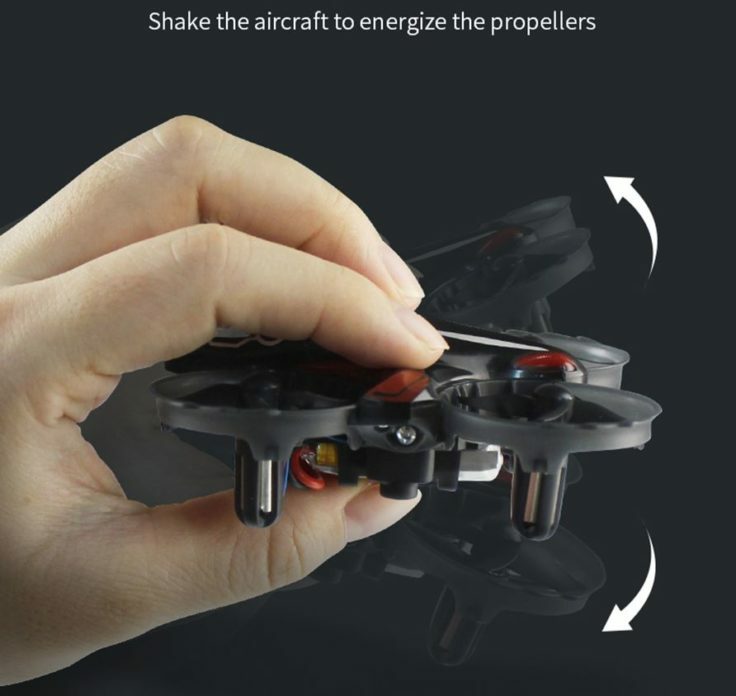 The engines can be started by shaking the drone; then you can simply throw the drone into the air. Infrared sensors on all sides then react to hand movements. I don’t think the drone will follow your hand. It will probably just “push” itself in a certain direction when you approach it. Apart from that, it can also be controlled with the enclosed remote control. This is the usual model for drones of this size, which requires 3 AAA batteries as usual. The maximum range of 50 meters cannot be reached with the small drone, as it is hardly visible anyway. With one battery charge, the drone flies for five to seven minutes. Thanks to Altitude Hold (automatic altitude control) the TaiChi is quite easy to fly. Especially the hand control makes it look like a toy. It is not without reason that it is advertised as suitable for children even more than other mini-quadrocopters. JJRC H56 TaiChi – Cool Mini-Drone? Optically, the drone resembles the popular H36, and should fly similarly well. Here there are also the infrared functions, which then also justify the price. It is still fair with about $20. Just take it with you?